The 2014 Competition was held Thursday, July 17 at UW Music Hall at 7:30 pm on the UW-Madison Campus, in collaboration with the Madison Early Music Festival. 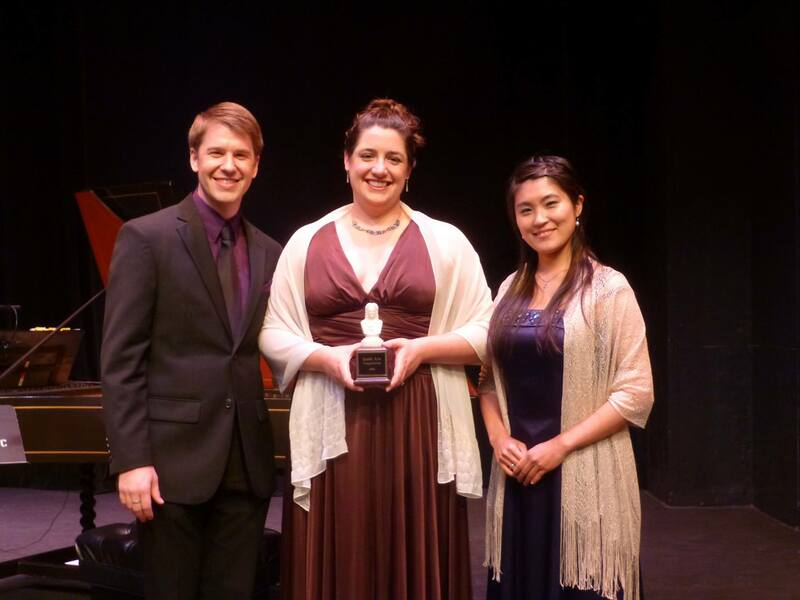 First prize was awarded to soprano Chelsea Morris, who also was selected Audience Favorite. 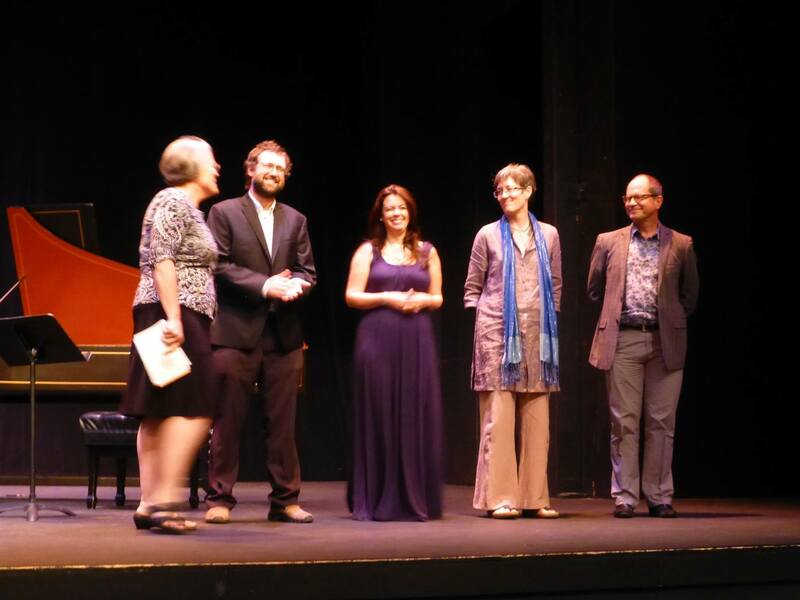 Second prize went to Daniel Moody, countertenor, and the third prize winner was Yukie Sato, soprano. Hailed by The New York Times for her “radiant, liquid tone,” “exquisitely phrased” and “sweetly dazzling” singing, soprano Sarah Brailey is in growing demand as both soloist and chamber musician in baroque and contemporary genres. This season’s highlights included Britten’s Les Illuminations with Novus NY, Caldara’s Maddalena with the American Classical Orchestra, Handel’s Samson under the baton of Nicholas McGegan, Reich’s Music for 18 with Ensemble Signal, Handel’s Israel in Egypt with Princeton Pro Musica, Bach’s Jauchzet Gott with Trinity Baroque, Tarik O’Regan’s The Ecstasies Above with The Washington Chorus; guest appearances with GRAMMY-winning contemporary vocal octet Roomful of Teeth; recording projects with John Zorn, The Trinity Choir, Paola Prestini, GRAMMY-nominated New York Polyphony; and premieres of works by Gabriel Jackson, Ralf Yusuf Gawlick, and John Zorn. More at www.sarahbrailey.com. Mezzo-soprano Nan Li received her Master’s degree from the Manhattan School of Music. Credits at Manhattan School of Music include Mahogany of city (six lady’s) and Hansel and Gretel (Witch) in 2013. She is currently studying on fellowship at the Aspen Summer program where she will perform in Eugene Onegin (Filipayevna). unusual beauty of his voice. A lover of opera, early music, sacred and art song alike, Daniel has performed the roles of Nerone in L’incoronazione di Poppea, Cesare in Giulio Cesare and Oberon in Britten’s A Midsummer Night’s Dream with Peabody Opera where he received his Bachelor of Music. Daniel has performed at the Boston, Indianapolis, and Washington Early Music Festivals, Tanglewood Festival and in radio performances nationwide with the Peabody Consort. Daniel sings regularly at the National Cathedral and made his Asian debut with Hong Kong Voices in 2011. Daniel will begin his graduate degree at Yale Institute of Sacred Music this fall. 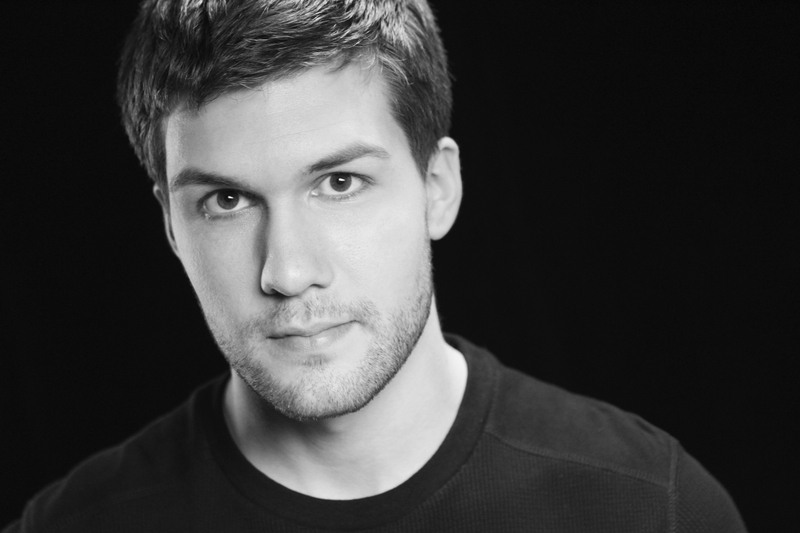 Michael Roemer, Baritone, is a graduate of The UW-Madison Masters in Opera program. He has performed leading roles in Don Giovanni, La Bohème,The Consul, The Marriage of Figaro, Falstaff, and HMS Pinafore. Michael is a past Metropolitan Opera National Council Encouragement Award winner and was a Young Artist with Des Moines Metro Opera. This past season, he was in the chorus of the Lyric Opera of Chicago for Parsifal. Currently, Michael is a soloist at First United Methodist in Evanston, sings with the professional ensemble, Chicago a capella, is a teaching artist with Chicago Opera Theater for Teens, and is the music director for Chicago Opera Playhouse. For more information about Michael, including upcoming performances, visit his website at www.michaelroemerbaritone.com. Of his 2013 Carnegie Hall debut, New York Concert Review noted, “Daniel Shirley’s voice soared over the large forces with strength and clarity.” The tenor continues to earn critical praise for his appearances in concert, opera, and musical theater. First appearing with Madison Opera in 2013 in Acis and Galatea, he will return to the company twice during the current season: as Candide in a program celebrating the Overture Center’s Tenth anniversary, and as Anthony in Sweeney Todd. He is becoming well-known for his impassioned interpretations of Handel’s oratorios. Of Israel in Egypt with Music of the Baroque, John von Rhein of the Chicago Tribune wrote, “Daniel Shirley’s articulate delivery was to the Handelian manner born.” His wife, soprano Caitlin Shirley, was a finalist in last year’s Handel Aria Competition. Currently pursuing a Master’s degree in voice at the Schola Cantorum Basiliensis, Yukie Sato is the 1st prize winner of the 2nd International Early Music Vocal Competition “Canticum Gaudium” (Poznan, 2013). When she graduated the Tokyo University of the Arts in Japan, she was awarded the best player’s prize “Acanthus prize” (2014). Yukie appeared as Serpina in “La Serva Padrona”(Tokyo, 2010), as Alcina in Francesca Caccini’s “La Liberazione di Ruggiero” (Basel and Dresden Semperoper 2012), and in the title role of Händel’s “Ariodante” in a concert performance (2012). She works not only in many ensembles, but also as a soloist with Rinaldo Alessandrini and Andrea Marcon. She has studied with Midori Minawa, Yukari Nonoshita, and Mutsumi Hatano in Japan, and with Gerd Türk, Agata Wilewska and Dominique Vellard in Basel. John Chappell Stowe (organ; harpsichord) is Professor of Organ and Harpsichord at the University of Wisconsin-Madison School of Music. Before moving to Wisconsin, he was Professor of Organ and Church Music at Houghton College, Houghton, NY and also served as Visiting Associate Professor of Organ at the University of Iowa for the 1993-94 academic year. He graduated from Southern Methodist University and Eastman School of Music, studying organ with Robert Anderson and Russell Saunders. Dr. Stowe holds the Doctor of Musical Arts degree and Performer’s Certificate from the Eastman School and was the first-place winner in 1978 of the National Open Organ Playing Competition of the American Guild of Organists. Since joining the faculty at UW-Madison, Dr. Stowe has held the posts of Associate Director of the School of Music (1990-93) and Director of Graduate Studies (1996-99, 2005-06). From 1998 to 2004, he served the American Guild of Organists as National Vice President. In addition to organ and harpsichord, his instructional activities currently include improvisation, continuo playing, organ design and literature, and coaching the UW-Madison Early Music Ensemble. Brandi Berry (violin) has appeared with numerous ensembles, including Kings Noyse, Apollo’s Fire, Newberry Consort, Toronto’s Classical Music Consort, Ars Lyrica, Indianapolis and Atlanta Baroque Orchestras; and as soloist/concertmaster of Ars Antigua, Bloomington Early Music Festival Opera Orchestra, and St. Louis’s Kingsbury Ensemble. Ms. Berry has also performed on concert series throughout North America, including the Library of Congress, the Dame Myra Hess series, the CMC Handel Festival in Toronto, the Boston, Berkeley, Chicago, Indianapolis, and Madison Early Music Festivals, Kansas City’s Friends of Chamber Music, Early Music Now, Chicago’s Classical Music Mondays, and the Academy of Early Music in Ann Arbor. On the air, Ms. Berry has been heard on the Live and Impromptu series of Chicago’s WFMT classical radio station, WNUR, and Wisconsin Public Radio. She serves on the faculty of DePaul University as co-director of the Baroque Ensembles program, and is artistic director of the Bach & Beethoven Ensemble. David Douglass (Renaissance violin; vielle) is a founding member of The Newberry Consort, and took the position of Musician-in-Residence at the Newberry Library and director of The Newberry Consort in 2007. A performer on Medieval, Renaissance, and Baroque bowed-string instruments, his playing has been praised by The New York Timesfor its “eloquence” and “expressive virtuosity.” Through his groundbreaking work in the field of the early violin he was the first to develop a historical technique which produces “a distinctively ‘Renaissance’ sound and style for the violin” (Fanfare). This particular exploration culminated in his founding of the ensemble, The King’s Noyse, a Renaissance violin band. As director of The King’s Noyse, and through his recreation of the improvisational repertory of the early violin band, he has received praise for his “enterprise and imagination” (Stereophile). He is also in demand as a freelance performer, record producer, writer, and lecturer on historical performance practice. John Mark Rozendaal (viola da gamba) specializes in stringed instrument music from the Baroque and Renaissance eras. A founding Artistic Director of Chicago Baroque Ensemble, Rozendaal served as principal ‘cellist of The City Musick, Basically Bach, the Newberry Consort, Orpheus Band, and the King’s Noyse, Boston Early Music Festival Orchestra, and Soli Deo Gloria’s Chicago Bach Project. Rozendaal performs as a member of Trio Settecento with violinist Rachel Barton Pine and harpsichordist David Schrader. He has taught at the Viola da Gamba Society of America Conclave, Viols West’s annual workshop, Amherst Early Music, Madison Early Music Festival, and the Music Institute of Chicago’s annual Baroque Festival. Rozendaal teaches private lessons and Viola da Gamba Dojo classes at his studio in Manhattan. Kristina Boerger (soprano) received her formative musical training from pianist Annie Sherter and holds the doctorate in Choral Conducting and Literature from the University of Illinois. She is currently the Visiting Associate Professor and Interim Director of Choral Activities at the University of Illinois at Urbana-Champaign. A New Yorker during most of the last decade, Dr. Boerger served 9 seasons as Artistic Director of the Cerddorion Vocal Ensemble, 3 seasons as Music Director of AMUSE, and 2 seasons as Associate Conductor of the Collegiate Chorale. As a guest director she has served the Syracuse Schola Cantorum, the Kalamazoo Bach Festival, the Five Colleges Consortium, and Chanticleer. Boerger’s credits as an ensemble singer include many years with Western Wind, Vox Vocal Ensemble, and Pomerium. Other credits include projects with Early Music New York, the choir at Trinity Church Wall Street, Bobby McFerrin, and the Rose Ensemble. 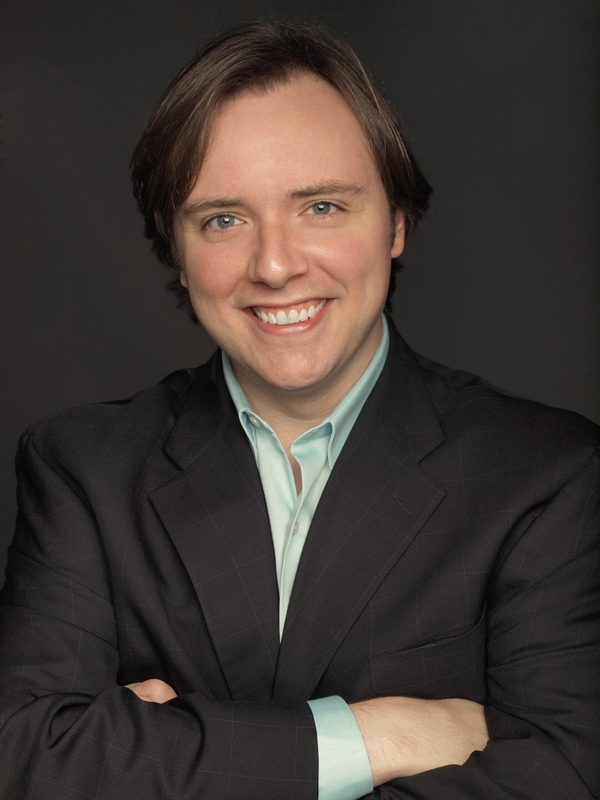 Drew Minter (countertenor; Trefoil) is among the world’s foremost countertenors. He has appeared in leading roles in the opera houses of Brussels, Toulouse, Boston, Washington, Santa Fe, BAM, Wolf Trap, Glimmerglass, Nice, Marseilles, as well as the Halle, Karlsruhe, and Goettingen Handel Festivals. He is a founding member of the Newberry Consort and TREFOIL, sings regularly with the Folger Consort and ARTEK, has sung with many of the world’s leading early music ensembles, and has been a guest at festivals, including BAM Next Wave, Tanglewood, Marlboro, Boston Early Music, Edinburgh, and Spoleto. Also a lauded opera director, Drew Minter directed the operas at the Goettingen Handel Festival, the Boston Early Music Festival, Lake George Opera, Caramoor, the Orchestra of St. Luke’s, and Opera Aperta, among others. In addition to numerous masterclasses and workshops in the singing and acting of baroque music, he teaches full time at Vassar College. He is represented by more than 50 recordings. Ian Pritchard (harpsichord; organ; lecturer – musicology) earned his BMus at the Oberlin Conservatory, where he studied with Lisa Crawford, and the DipRAM at the Royal Academy of Music in London, studying with John Toll, and continued studies with James Johnstone. Ian has performed with many ensembles, including the Academy of Ancient Music, the Orchestra of the Age of Enlightenment, the Irish Baroque Orchestra, and Florilegium, with which he has toured in Cyprus, South America, and throughout Europe. As a chamber musician he has performed with Monica Huggett and Rachel Podger, among others. Ian won 1st Prize in the 2001 Broadwood Harpsichord Competition and was a prizewinner in the 2003 International Harpsichord Competition in Bologna. In the same year, he was awarded a Fulbright Scholarship to Italy to research early Italian keyboard music and to study with Andrea Marcon and Liuwe Tamminga. He is currently a candidate for the PhD in musicology at USC. Nell Snaidas (soprano; Ex Umbris) has been praised by the New York Times for her “beautiful soprano voice,” “melting passion,” and “vocally ravishing” performances. Of Uruguayan-American descent, she began her career singing leading roles in zarzuelas at New York City’s Repertorio Español. Specialization in Italian and Spanish Baroque music has taken her all over Europe, plus North and Latin America. 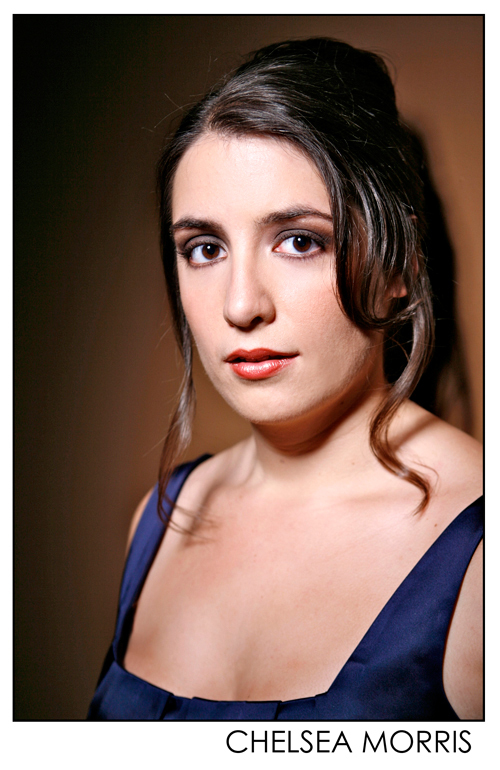 She has recorded for Sony Classical, Koch, Naxos, and Dorian, for whom she has recorded 3 Spanish/New World Baroque CDs. Nell has coached the Rose Ensemble, NYC’s Trinity Wall Street Choir, and the New York Continuo Collective, and was featured on CBC radio as one of the leading interpreters of Spanish Renaissance/Sephardic song. Her most recent CD, The Kingdoms of Castille, was nominated for a Grammy in 2012. This season Nell was named co-artistic director of GEMAS, a new series in NYC devoted to the Early Music of the Americas, sponsored by GEMS and the Americas Society. 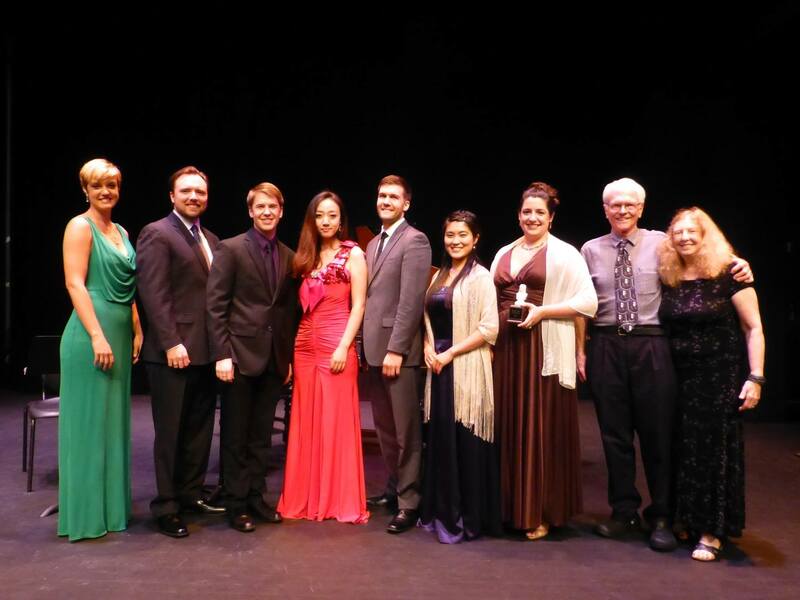 Pictured below with HAC Founders Dean and Orange Schroeder are our finalists for the 2014 Handel Aria Competition were (from left to right) Sarah Brailey, Daniel Shirley, Daniel Moody, Nan Li, Michael Roemer, Yukie Sato, and Chelsea Morris. Download the 2014 HAC Program Order to see what each finalist performed. Performance videos from the 2014 finals concert are posted on our YouTube channel. Our Award Winners: Daniel Moody (2nd prize), Chelsea Morris (1st prize and Audience Favorite), and Yukie Sato (3rd prize). This year’s Handel Aria Competition featured both a string ensemble and harpsichord accompaniment for the first time, making for a beautifully rich musical experience. 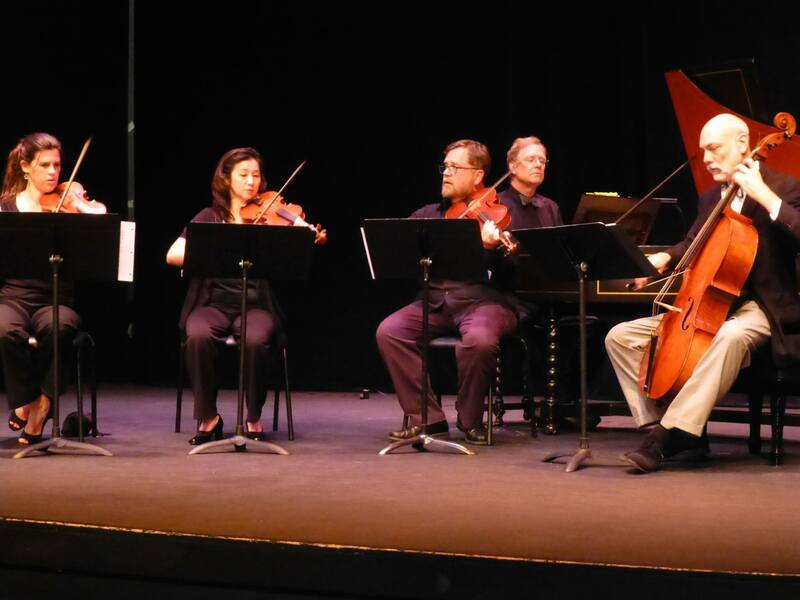 Many thanks to our talented instrumentalists: Brandi Berry and Kangwon Lee Kim, baroque violin, David Douglass, baroque viola, John Mark Rozendaal, baroque violincello, and John Chappell Stowe, harpsichord and music director. We’d also like to extend our gratitude to our wonderful judges, all members of the Madison Early Music Festival faculty: Ian Pritchard, Nell Snaidas, Kristina Boerger and Drew Minter.